Utilize Dai's Avan Strike Slash attacks. 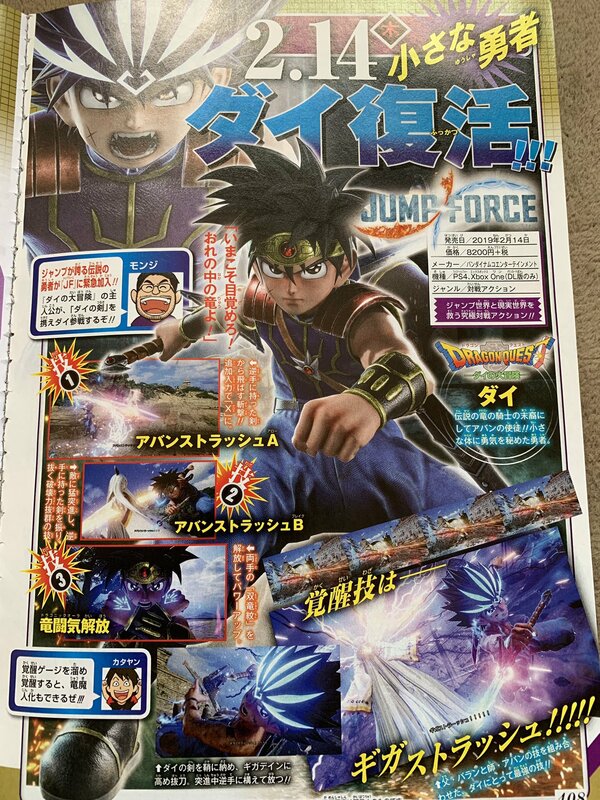 The latest issue of Weekly Jump has the first look at Dai from Dragon Quest: The Adventure of Dai in Jump Force, who was recently leaked as a playable character. A descendant of the legendary Dragon Knight and Avan’s disciple. A hero with a small body full of courage.